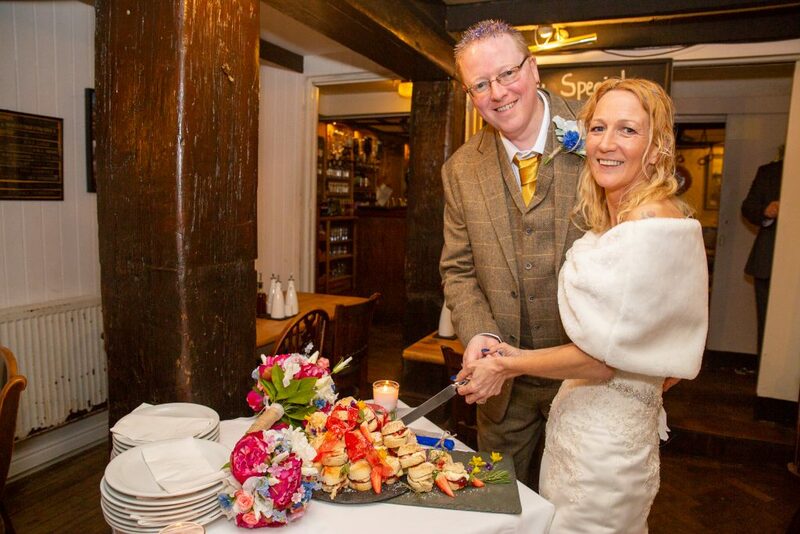 What a lovely first wedding to start the year with! 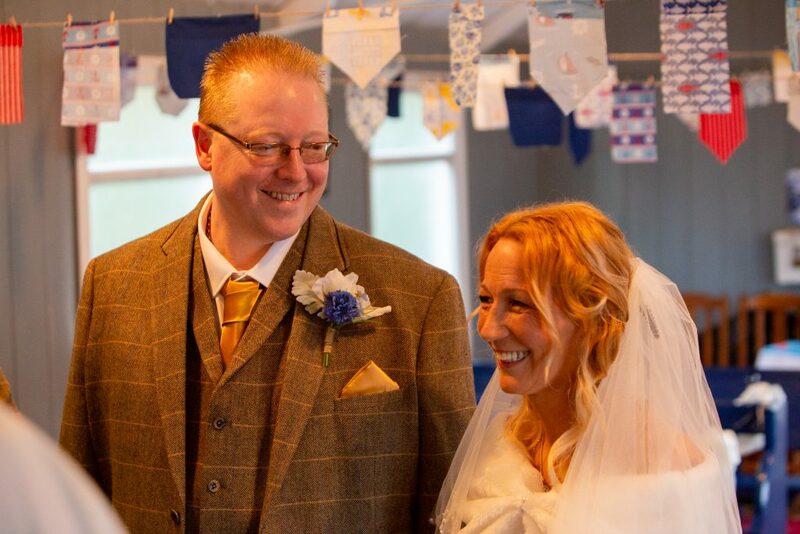 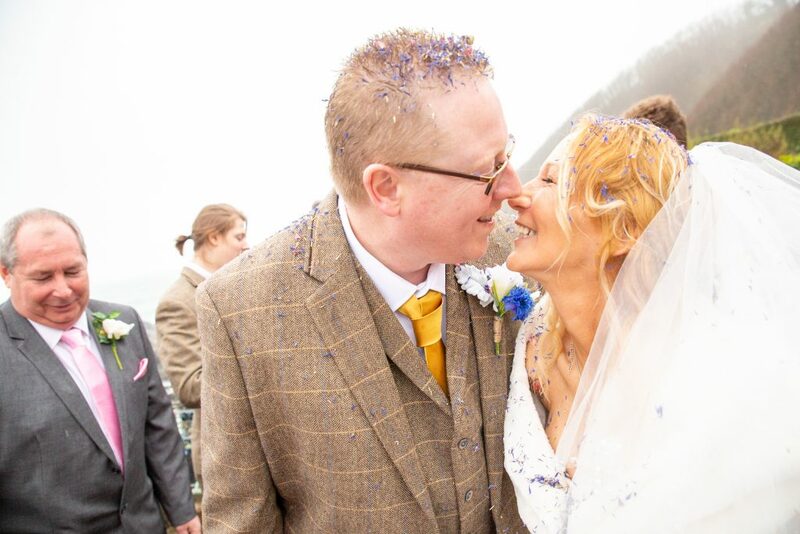 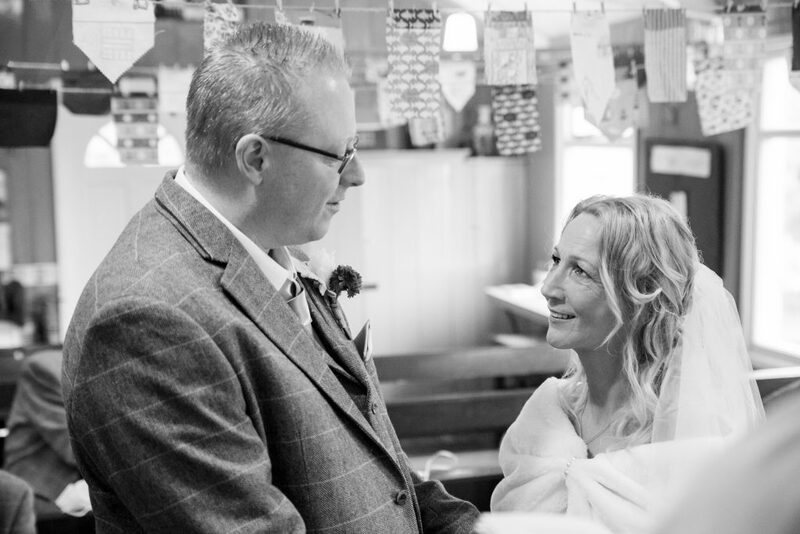 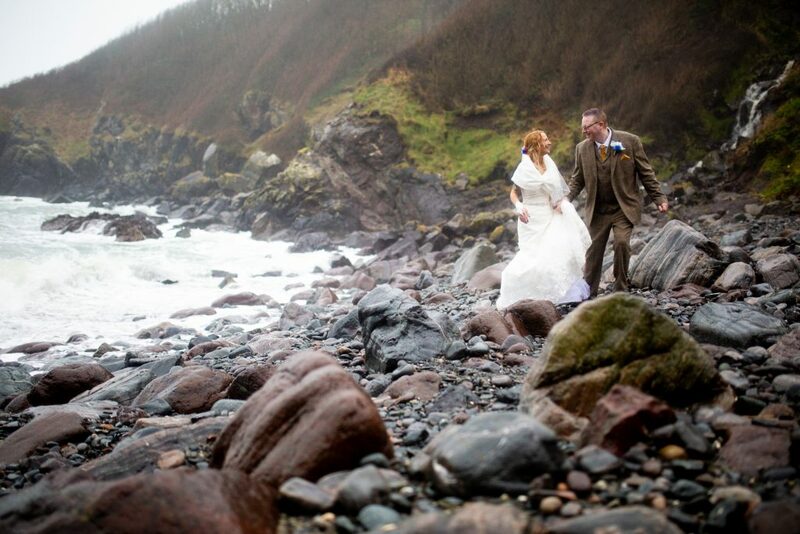 A beautiful Cadgwith wedding on valentine day. 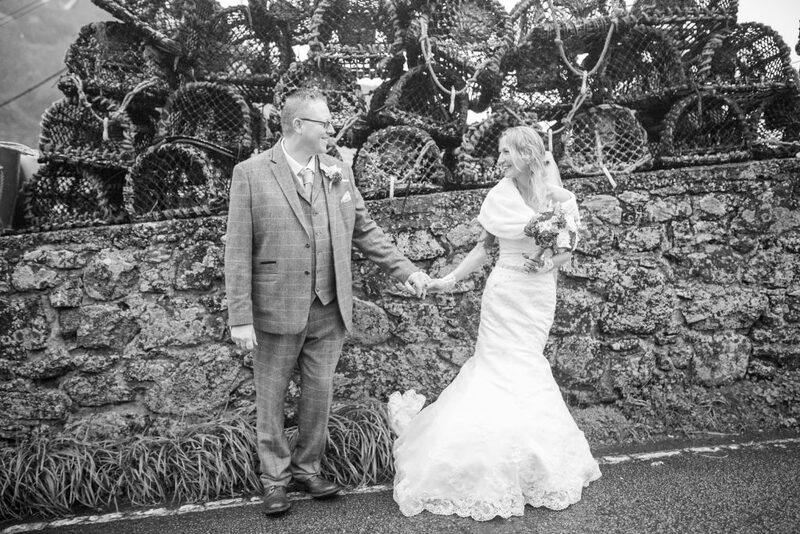 Cadgwith is a tiny little fishing village on the Lizard peninsula of Cornwall and one of Shaun and Andrea’s favorite holiday destination where they come to every year. 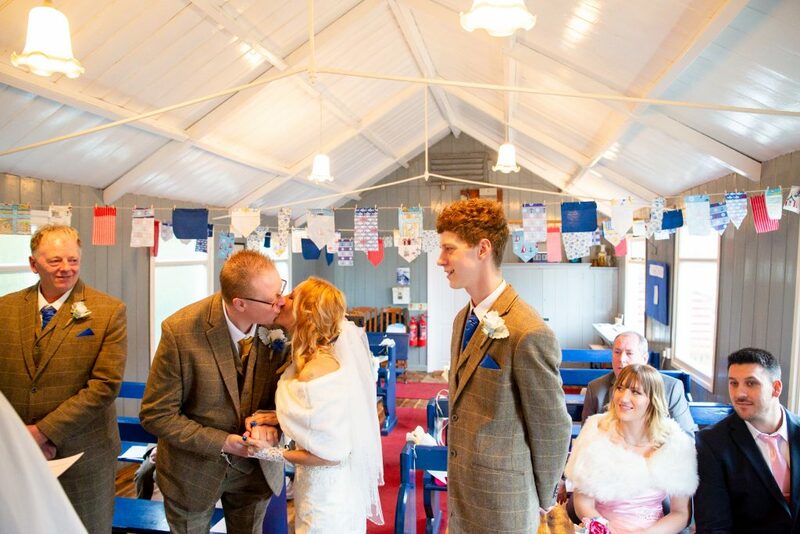 what better place to hold their special day. 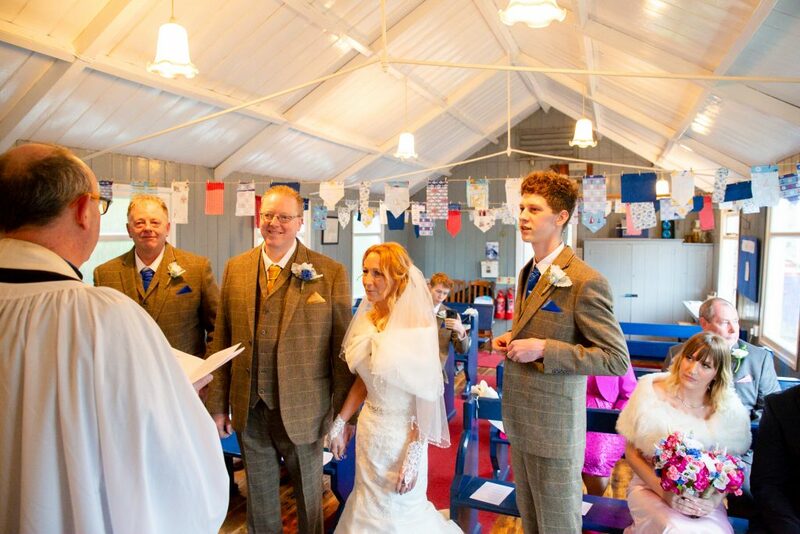 I had no idea there even was a church in Cadgwith, turns out there was! 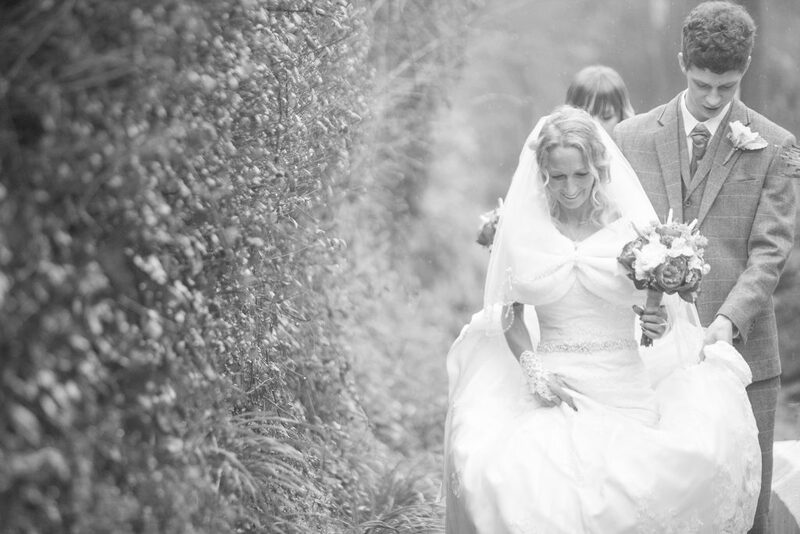 down one of the footbaths, a tiny little church is hidden, I think maybe the smallest church I have ever shot in. 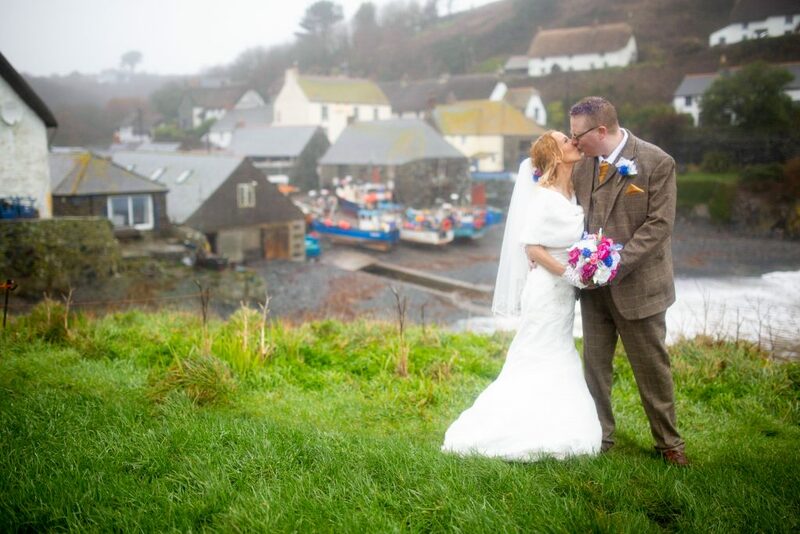 its full of character and charm though and fits perfectly in with the fishing village Cadgwith is. 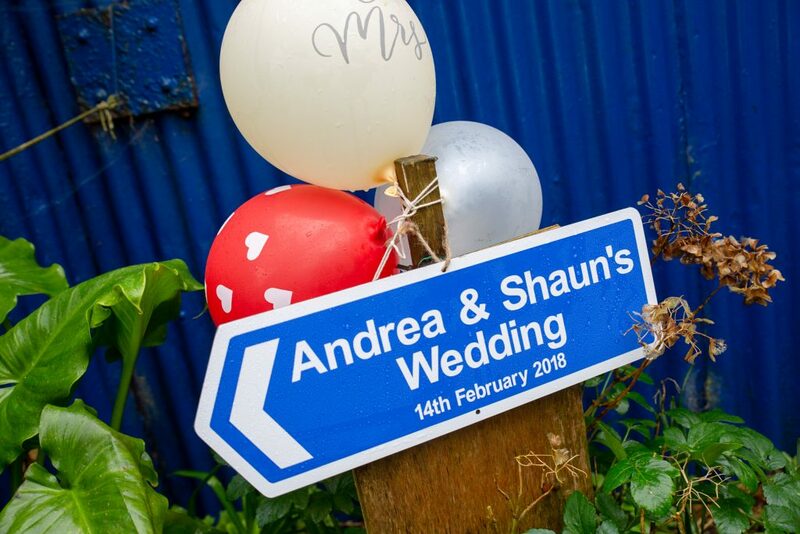 Shaun and Andrea hired a couple of holidays homes a stone throw away from the church and had a guest list of just their nearest and dearest closest family (11 people in total including them) with the boys getting ready in one and the boys in another. 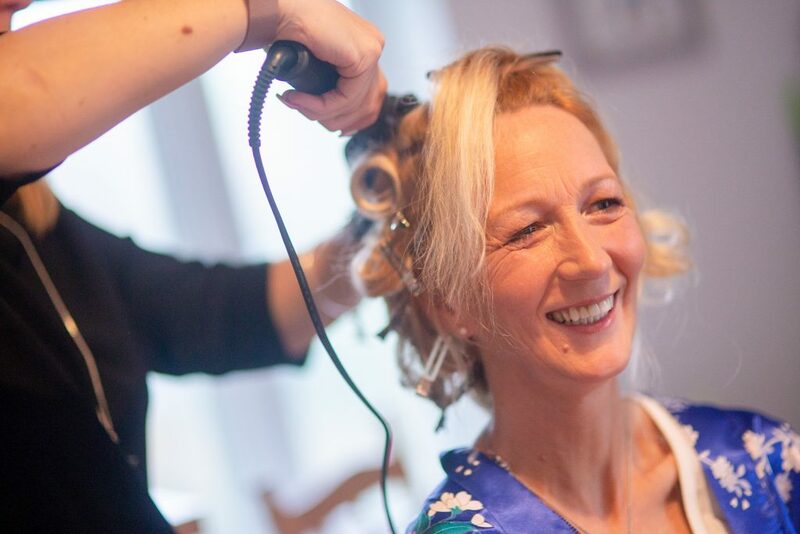 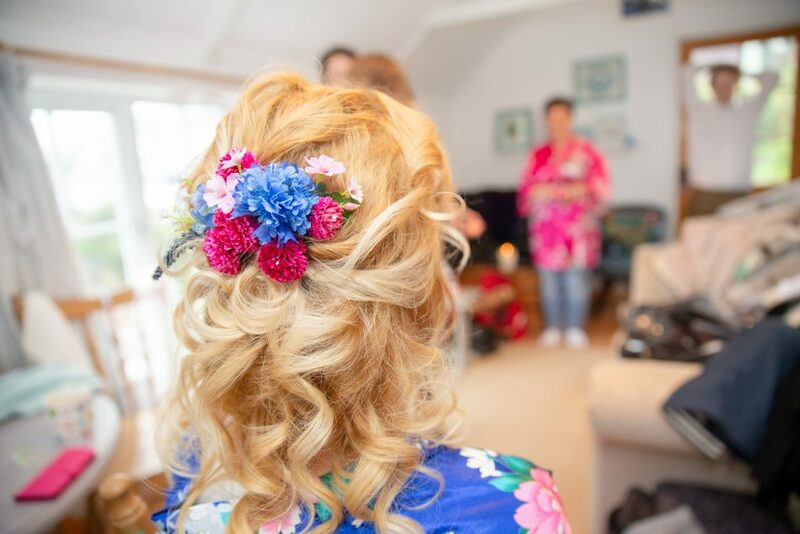 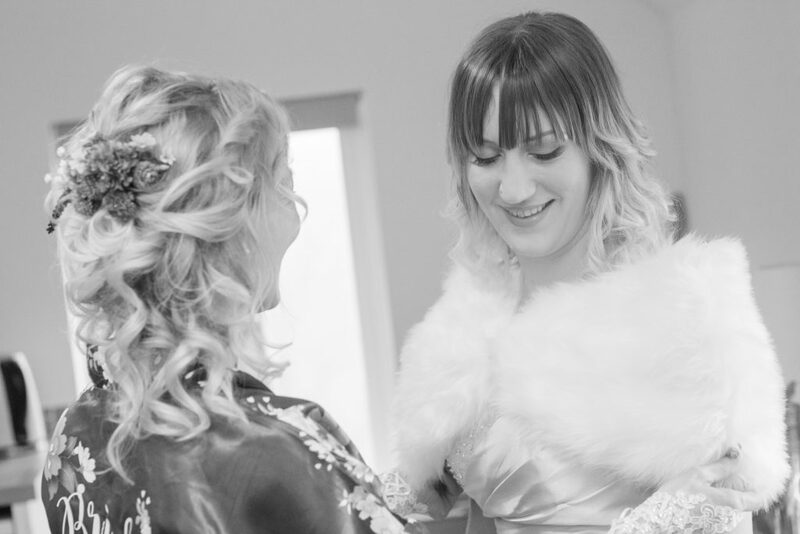 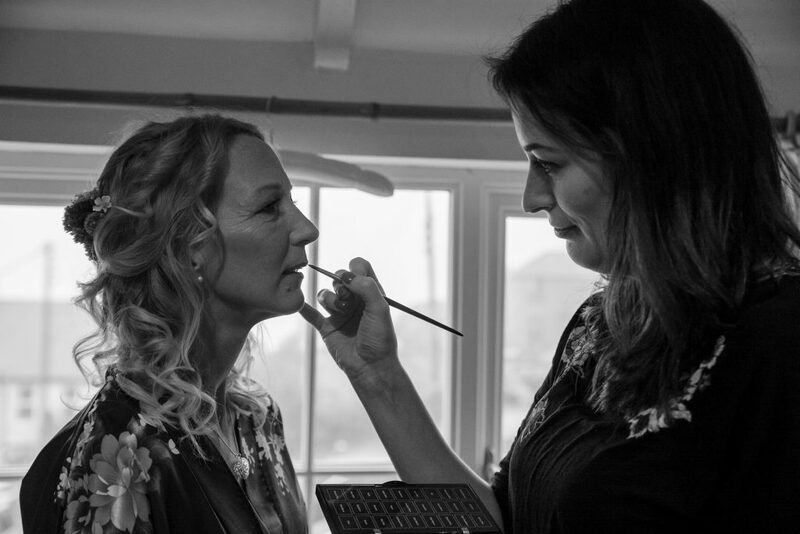 Sally Orchard make up was in charge of make up and blew belle’s bridal hair did the hair, everyone was looking beautiful! 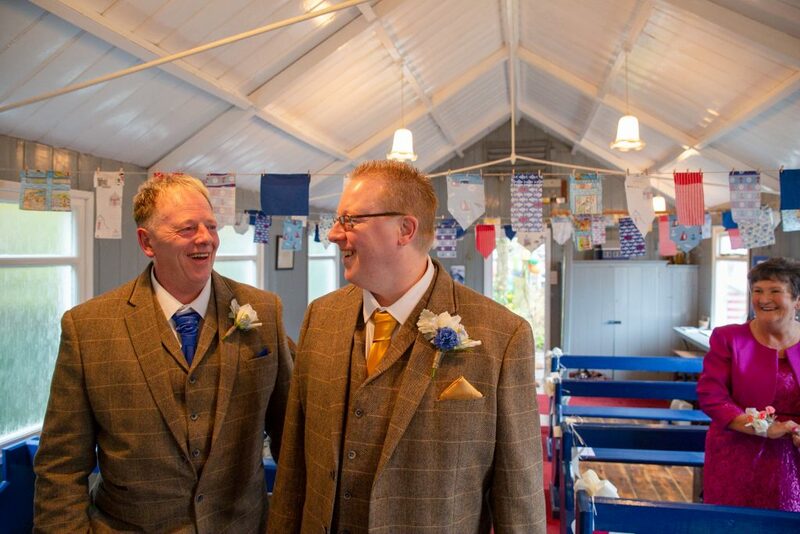 ready for the Cadgwith wedding. 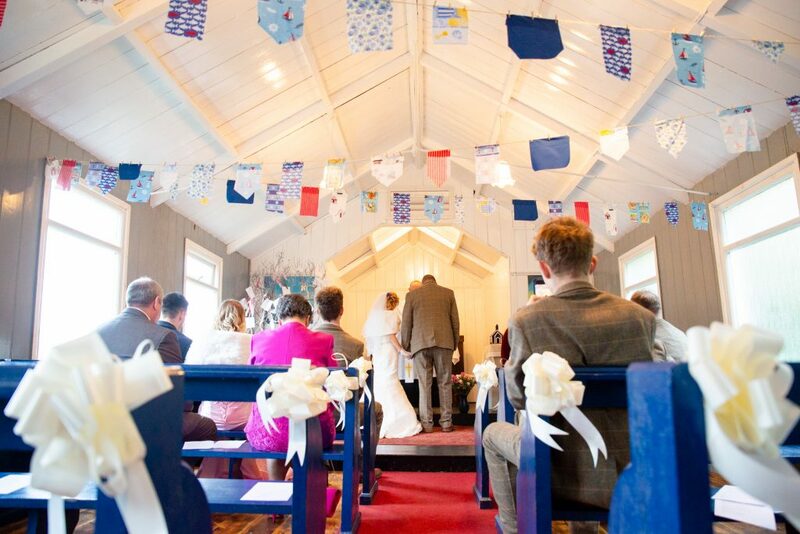 A small amount of guests is always so special and the ceremony always feels extra loving I find and feels like all the guests are involved, even more so in such a tiny church. 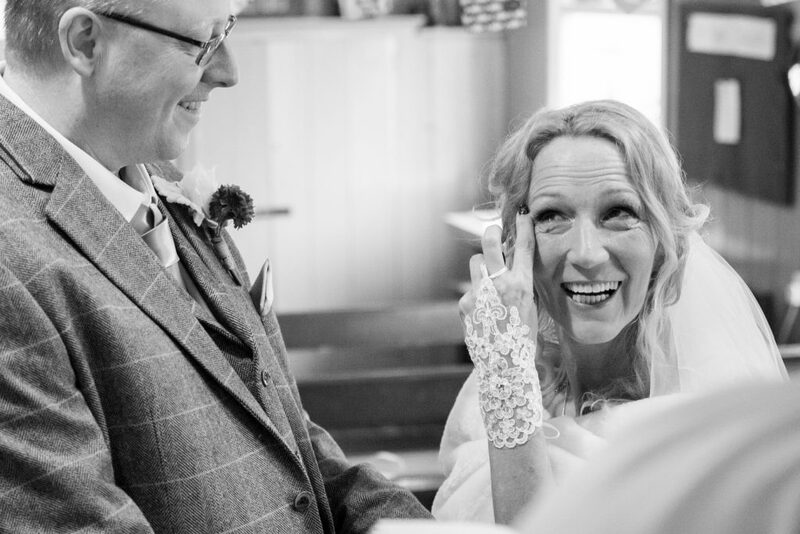 There were lots of tears from all around the room during the service. 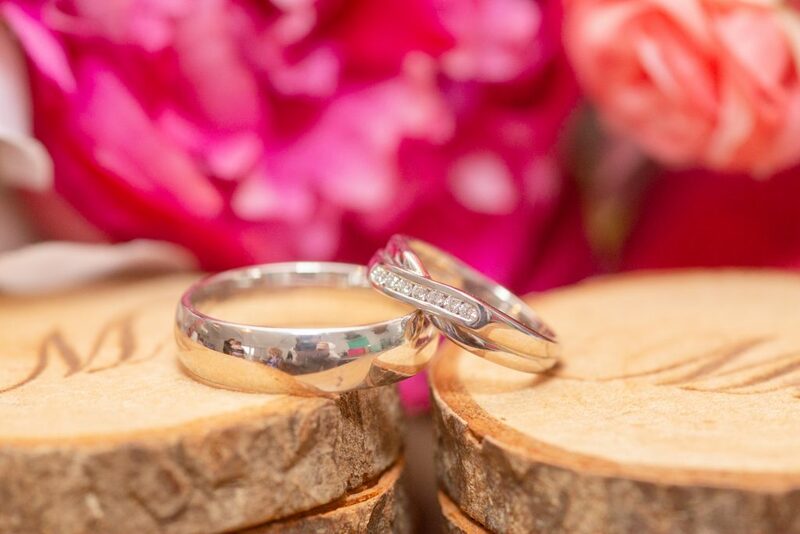 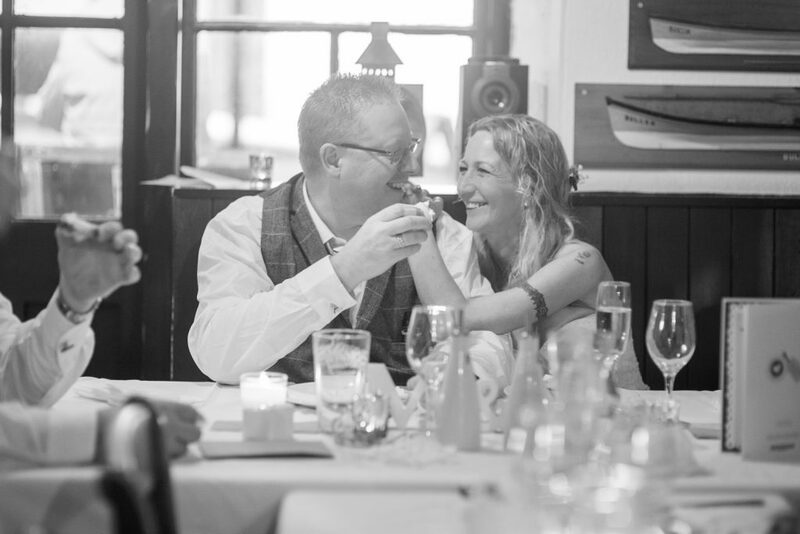 Shaun and Andrea have been together for 18 years before Andrea popped the question, you can’t rush these things! 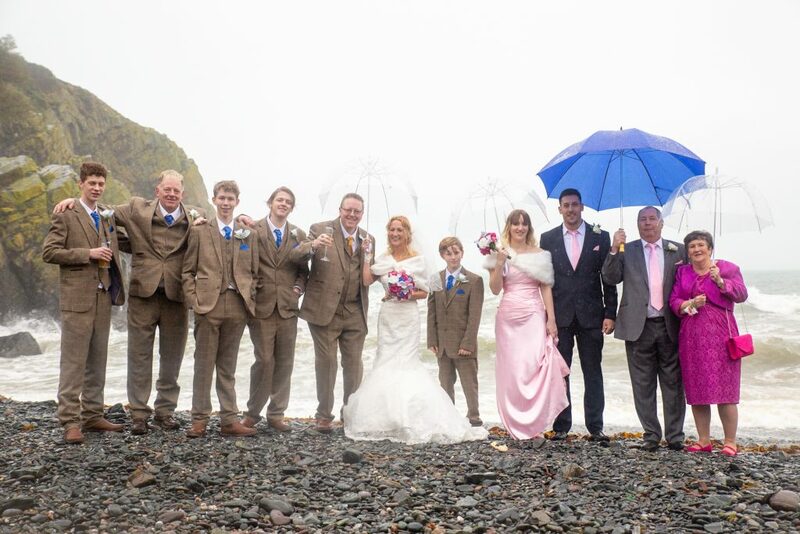 The afternoon reception was at the Cadgwith cove inn who put on an amazing little meal and Cornish cream teas for the wedding cake (the food is incredible, I certainly recommend it) hats off to Shaun and Andrea for braving the rain to get a few special portraits around the perfectly scenic Cadgwith. 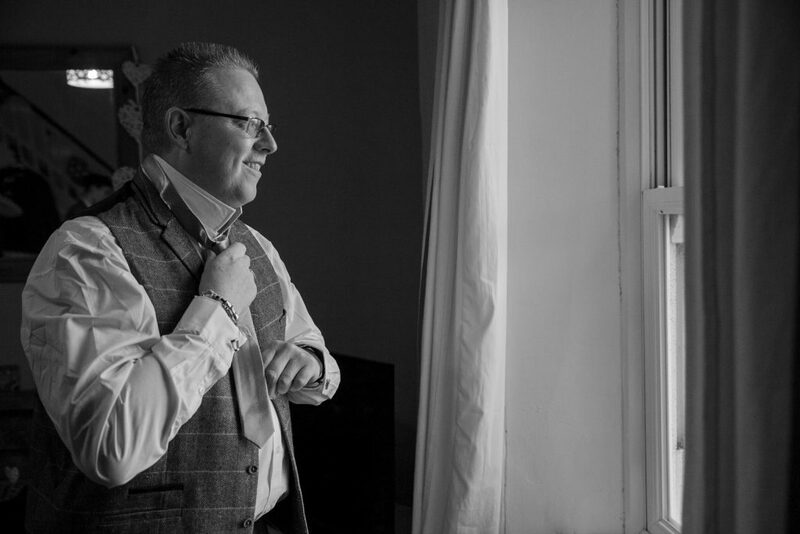 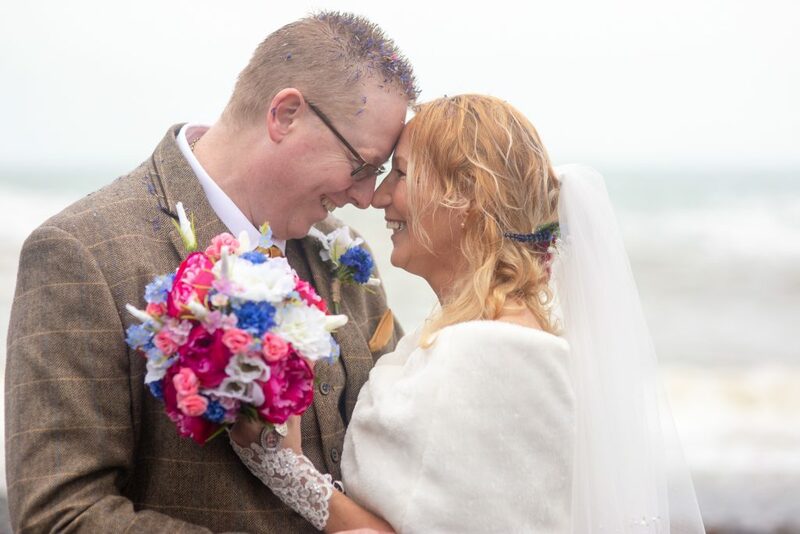 I had such a great time, thanks for letting me share your Cadgwith wedding day with you Shaun and Andrea, was a super special first wedding of the year. 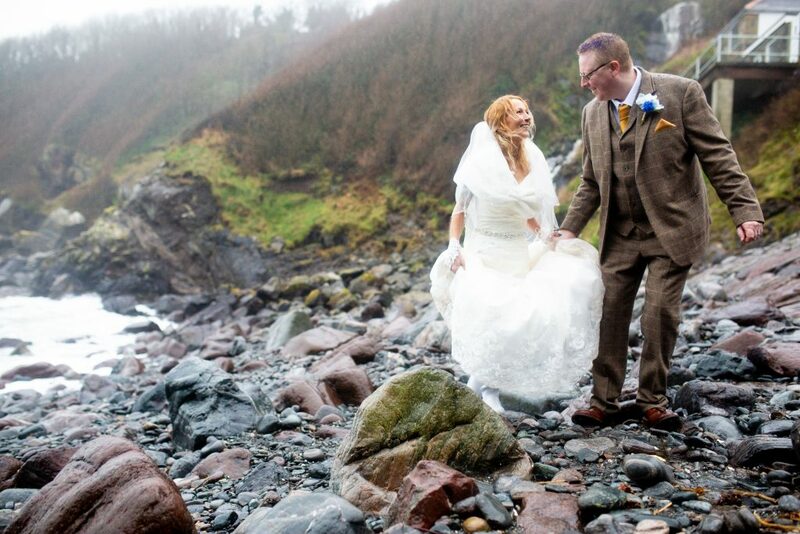 if you are planning your own wedding on the LIzard peninsula, its one of my favorite places to shoot, you can contact me here for more information or can see my packages I offer here. 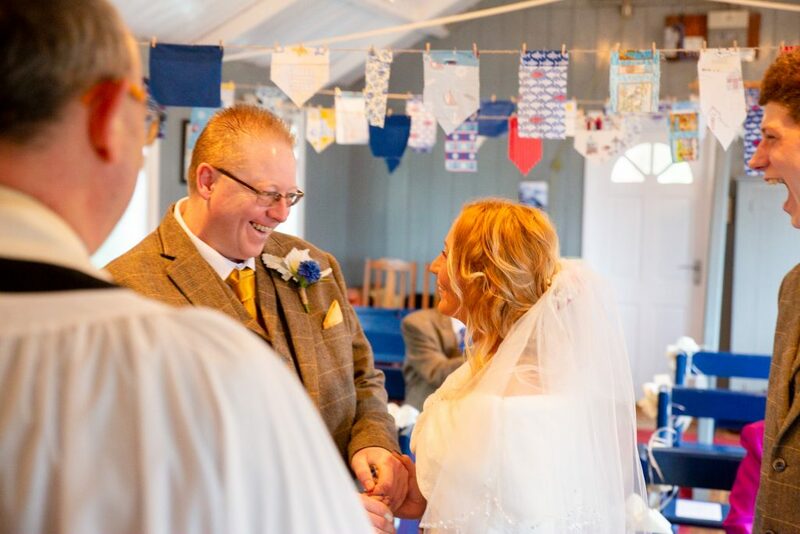 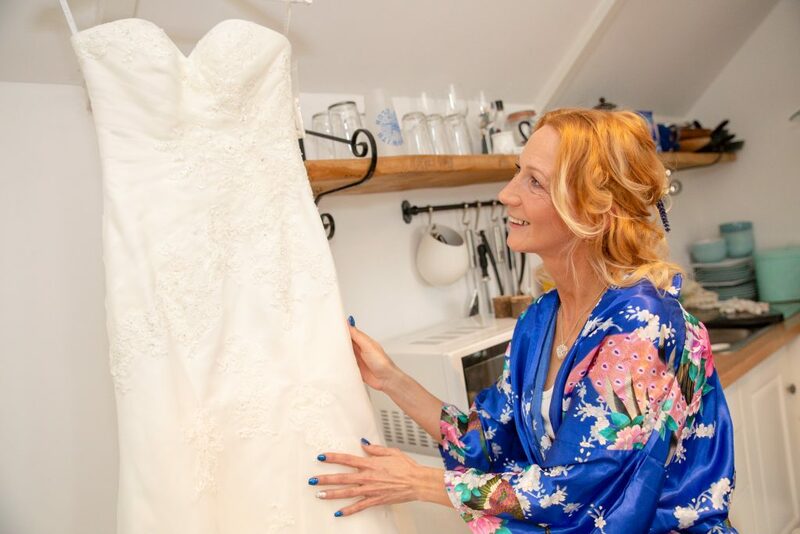 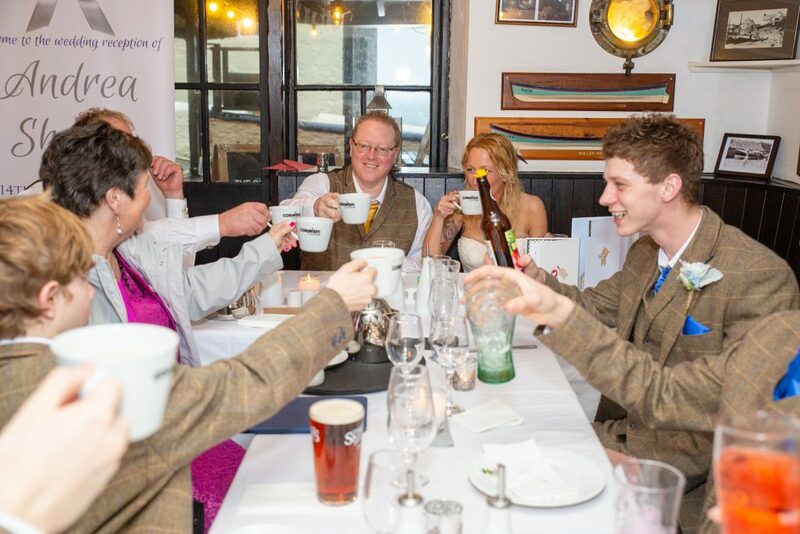 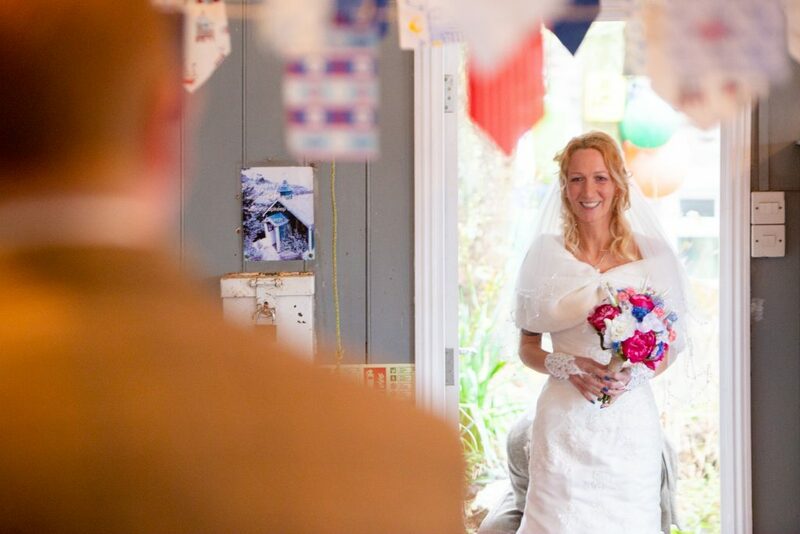 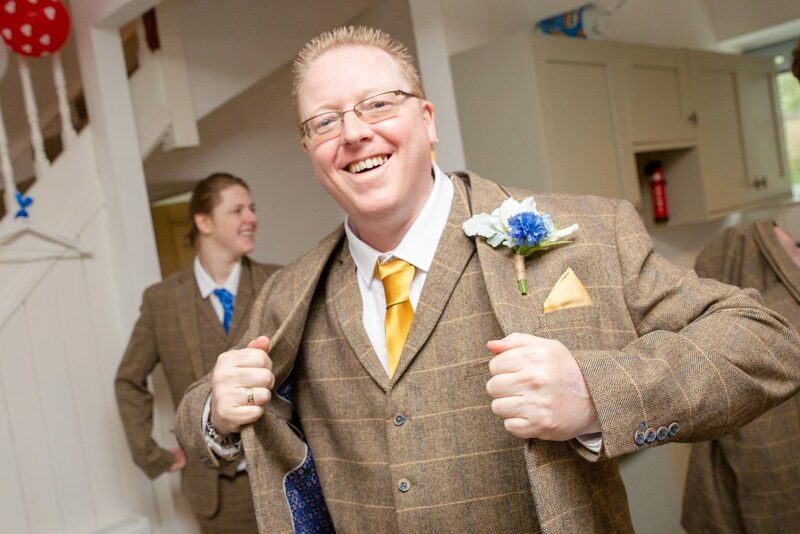 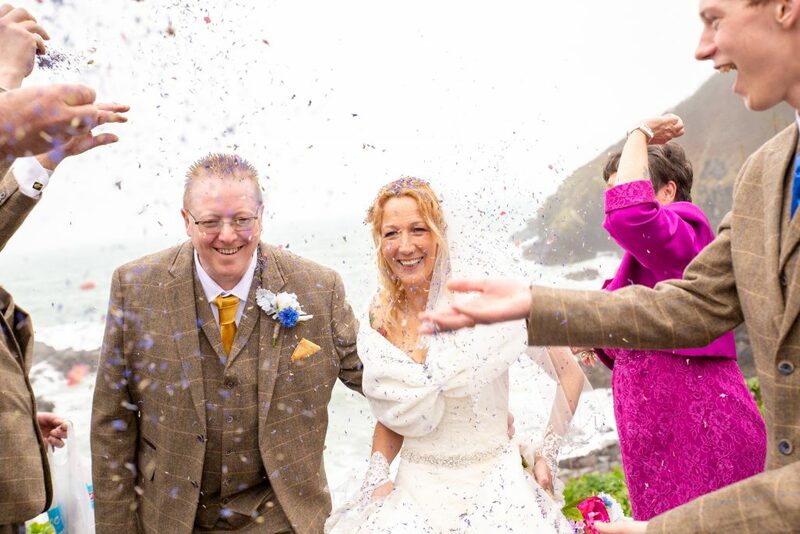 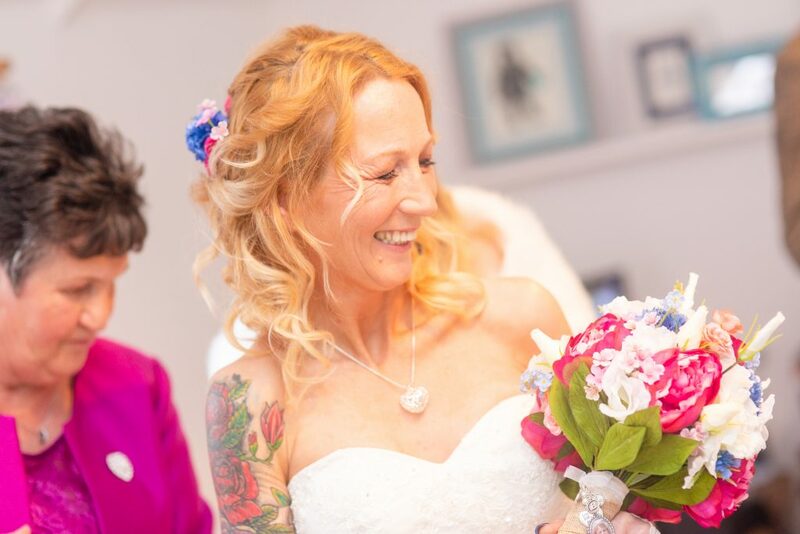 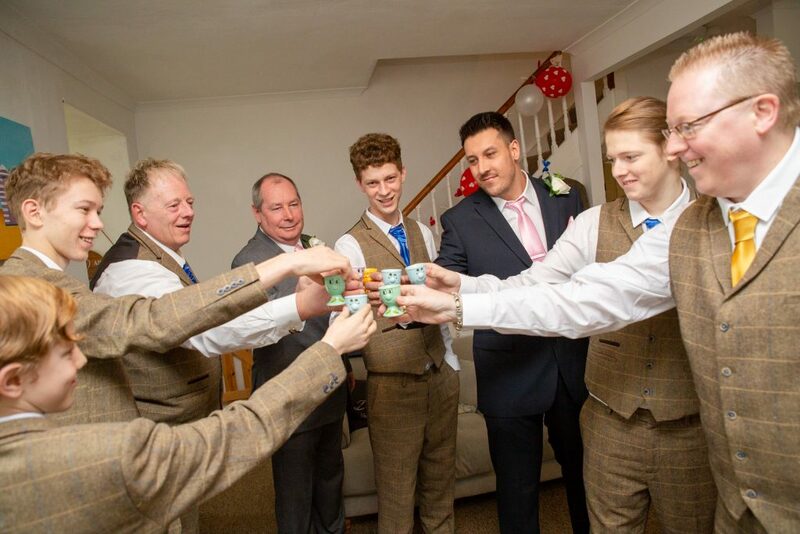 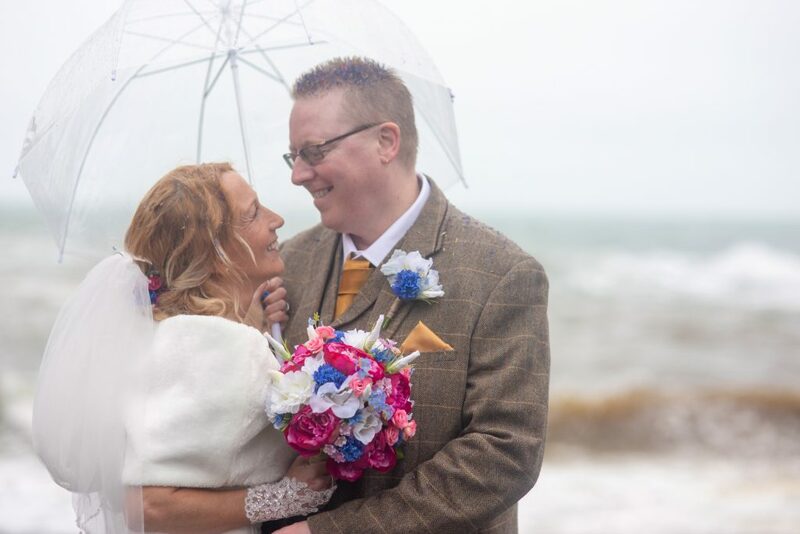 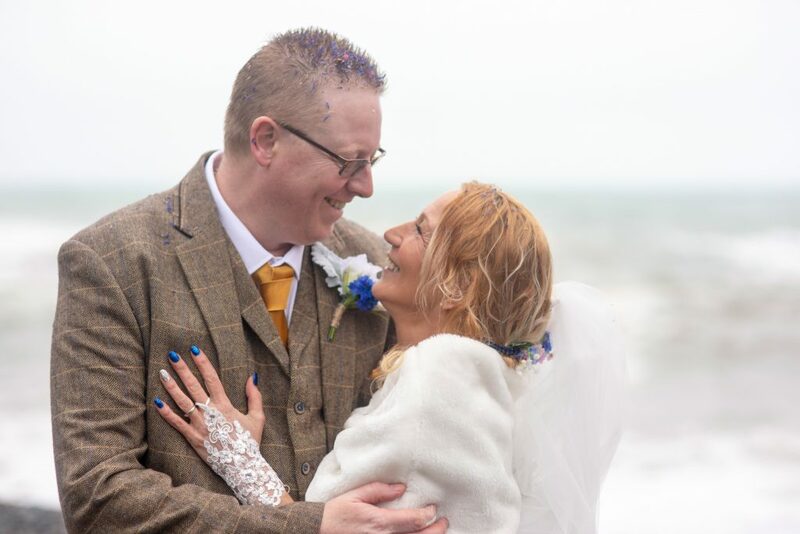 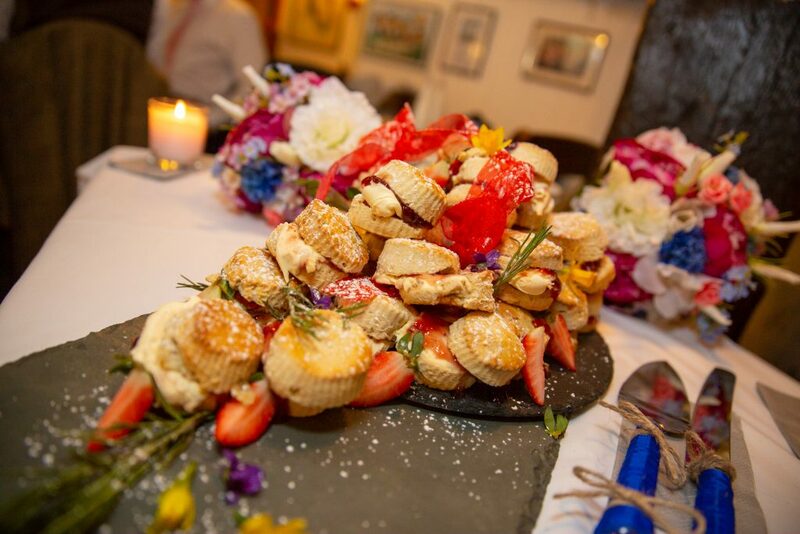 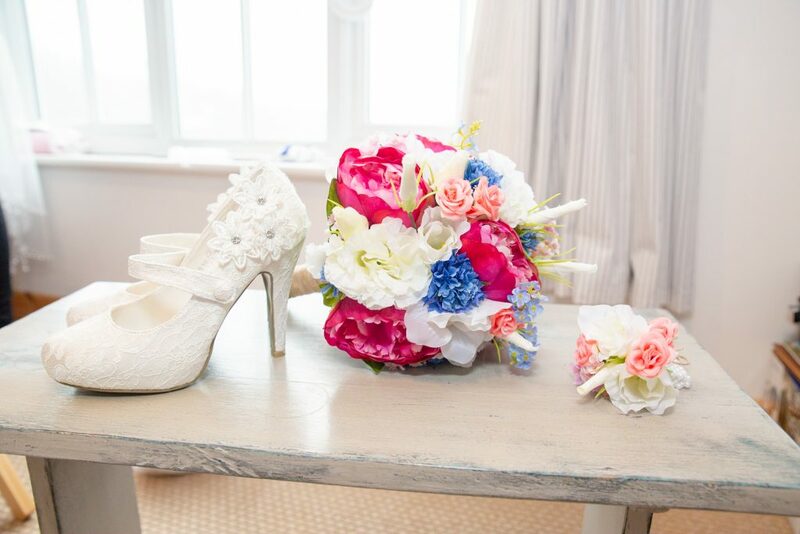 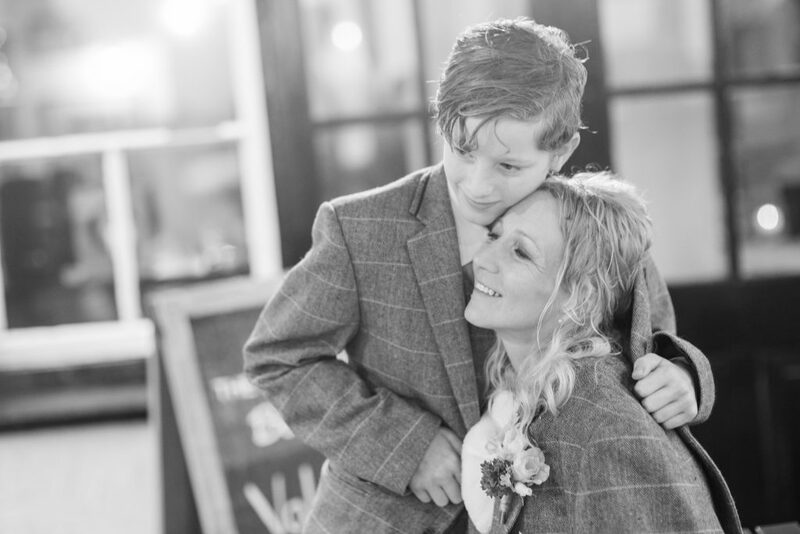 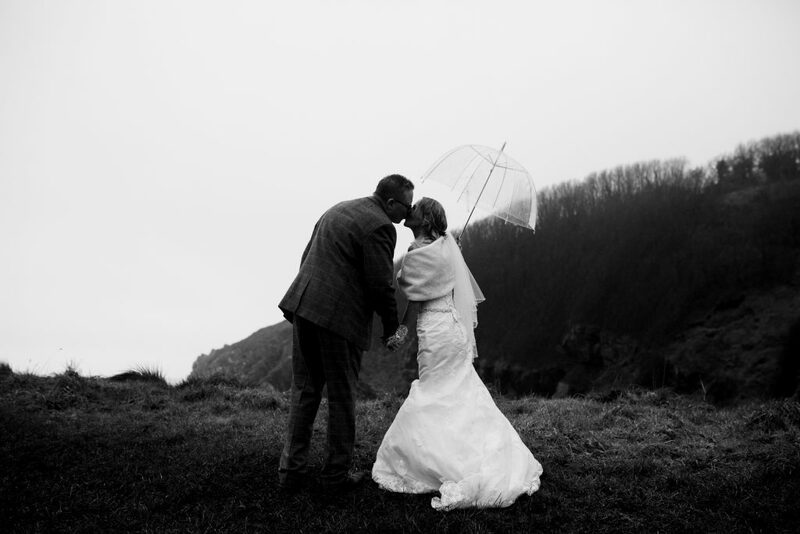 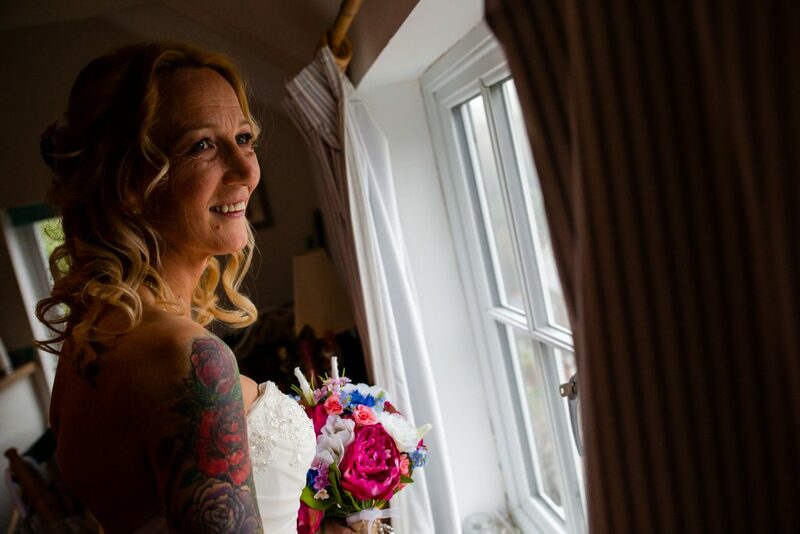 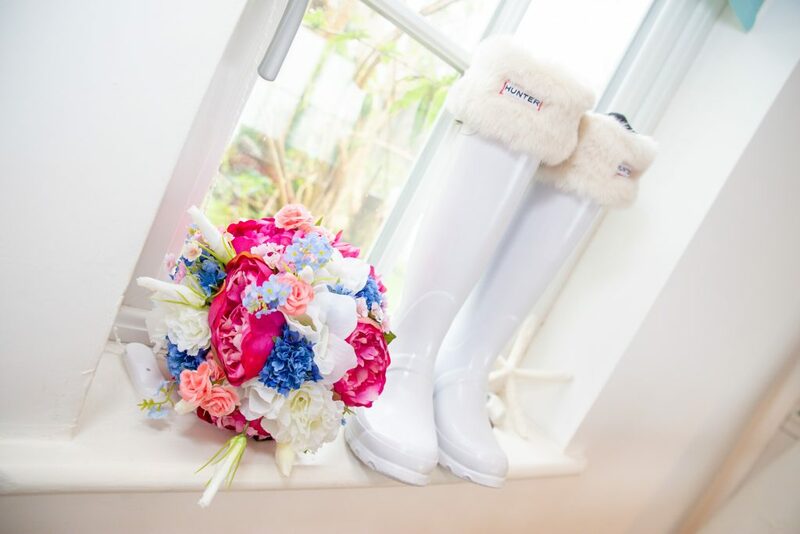 This entry was posted in Real weddings and tagged cadgwith, cadgwith church, cadgwith cove inn, cadgwith wedding, cornwall wedding photographer, helston wedding photographer, Lizard wedding, Lizard wedding photographer.